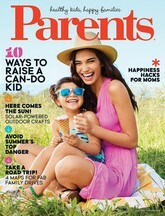 Savvy Spending: Free subscription to Parent's Magazine! Free subscription to Parent's Magazine! You can request a FREE one-year subscription to Parents magazine courtesy of FreeBizMag.